Spartan Race Australia is standing up for social issues that matter. Each year, Spartans come together at the crack of dawn to participate in tough and gruelling challenges in a show of solidarity and support for those in our community who are suffering and facing tough times. Spartans have raised tens of thousands of dollars in funds as well as awareness for the millions of people in Australia who are affected by domestic violence and youth homelessness. White Ribbon is just one of the excellent charities who we’re proud to have worked with. The crazy and tough missions that Spartans participate in, include 1km of Burpees for a Cause and 1km of Lunges for a Cause. These challenges represent the simple message that no matter how many times a person is knocked down, there is always something within them that finds the strength and courage to stand back up. Our challenges and charity events run at various times through the year. 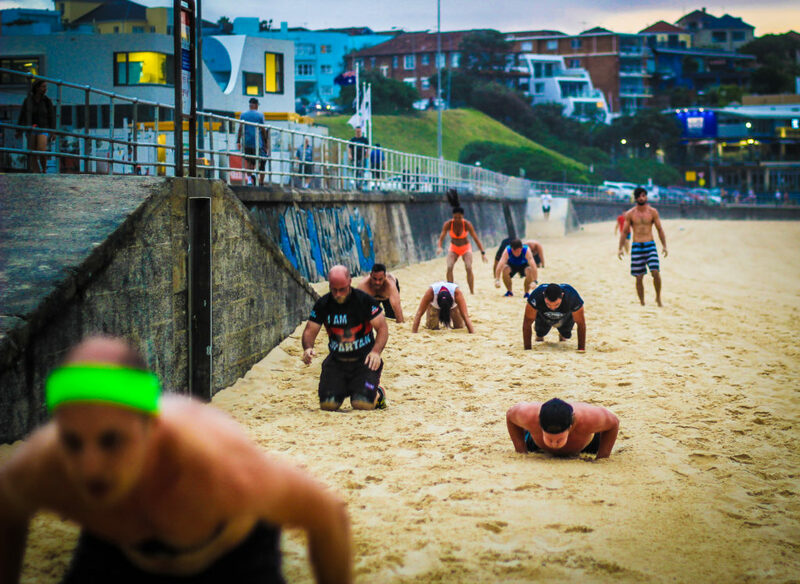 As first light breaks on a weekend morning, dedicated Spartans gather on a sandy beach. A few yawns as they limber up, shake off the sleep and get themselves psyched to smash 1km of Burpees for a Cause. These Spartans are playing their small part to raise funds and awareness for charities that are close to Spartan Race Australia’s heart. The Spartan 1km Burpees for a Cause challenge involves participants and their friends covering a 1km distance entirely by doing a burpee followed by a broad jump – over and over! Participants can compete either as individuals or in teams of up to 3 on beaches or parkland all around the country. Registered gyms, personal trainers, or other running and sports groups are all able to enlist as hosts. An exclusive Spartan 1km Burpees badge is awarded at the finish line to registered participants, at official venues #gottaearnit. Why burpees? Because it’s a Spartan way of representing the simple message that no matter how many times a person is knocked down, there is always something within them that finds the strength and courage to stand back up. Our hope is to send a show of support and let those affected by domestic violence and youth homelessness know they don’t stand alone. We hope you will join us in a show of Spartan solidarity and to raise much needed funds, one burpee at a time. Aroo!